Caption: Final round of competition between North Hollywood High School (left) and Bravo Medical Magnet High School (right). LOS ANGELES (March 22, 2019) – A 30-minute-long documentary television program highlighting the 27th Los Angeles Department of Water and Power (LADWP) Science Bowl high school competition and LADWP’s education programs will air twice on KLCS Ch. 58 and 23 times on LA CityView Ch. 35 during the month of April. The program will also be available at www.YouTube.com/LADWP1 and on www.vimeo.com/ladwp beginning March 29. The program interviews student team members, coaches, alumni, parents and volunteers as well as focuses on the hard work and strategies required to become successful at this competition, part of the U.S. Department of Energy (DOE) Office of Science National Science Bowl program. The documentary includes a portion of the final round of competition between North Hollywood high School and the Bravo Medical Magnet High School to determine the regional champion. Students who didn’t make it to the final rounds still received their moment in the spotlight during the Science Bowl hands-on competition in which they solved puzzles and built and flew model airplanes using pre-determined materials. The regional championship team won an all-expense paid trip to represent Los Angeles at the National Science Bowl to be held on April 25 through April 29 in Washington, D.C. This trip is funded by the U.S. DOE Office of Science. 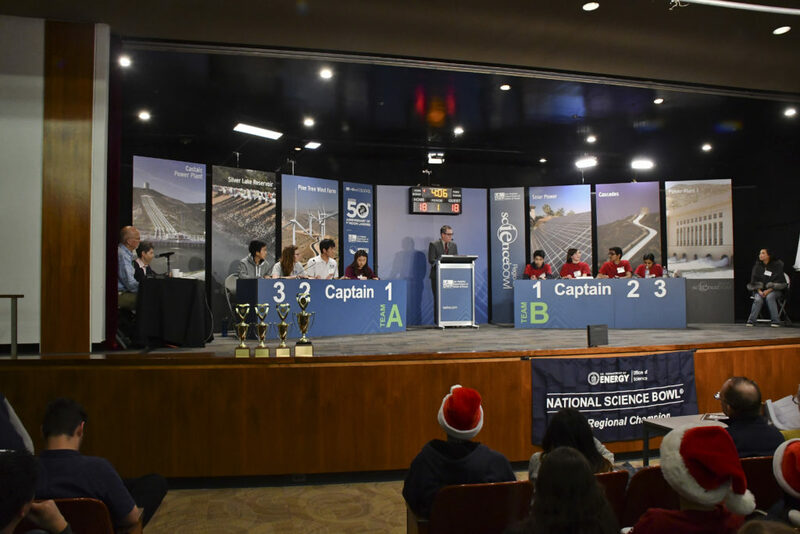 LADWP regional championship teams have a strong record at the National Science Bowl having won four national titles and 12 trophies from first to fifth place over these 26 years. In 2019, North Hollywood placed second at the National Science Bowl for the fifth time. 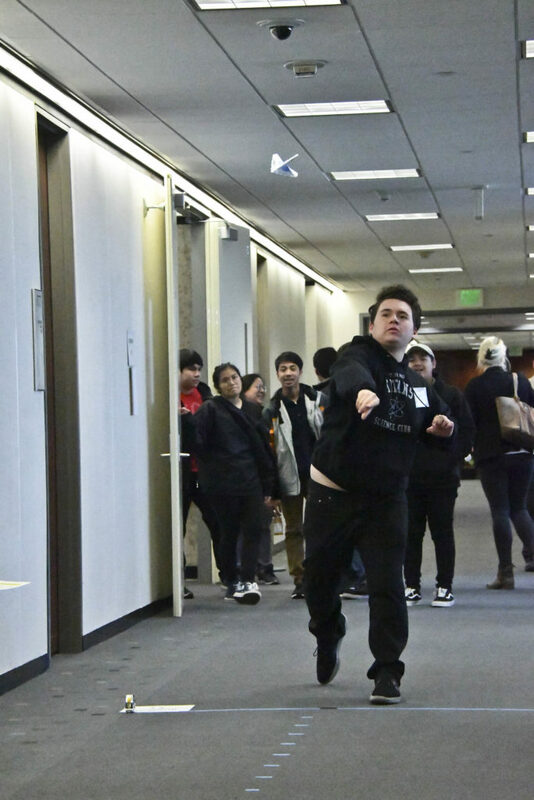 Caption: Isiac Ruiz, Alliance Marc & Eva Stern Math and Science Charter School, flies a model airplane that his team built as part of the LADWP Science Bowl Hands-On Competition.